A parking lot project planned on a public vegetable garden on Istanbul’s Asian side has been canceled following widespread criticism, officials said on Aug. 18. 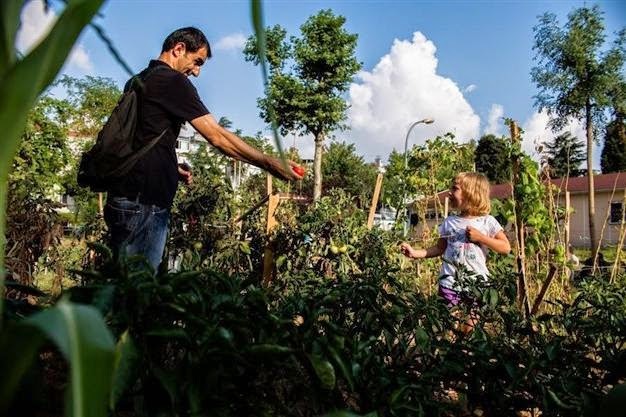 The project was condemned by locals, particularly due to the fact that the garden, located in the Moda neighborhood of the Kadıköy district, was also designated as a gathering spot in the event of a natural disaster. In protest at the plans, locals had set up a camp in the area to prevent the construction works. Following the protests, the Kadıköy mayor said he had applied to the Istanbul Metropolitan Municipality to request the cancelation of the construction permit given to a private investor. In a public statement on Aug. 18, Kadıköy Municipality said the permit had been canceled following their request.